I have a plate that I inherited from my mother. 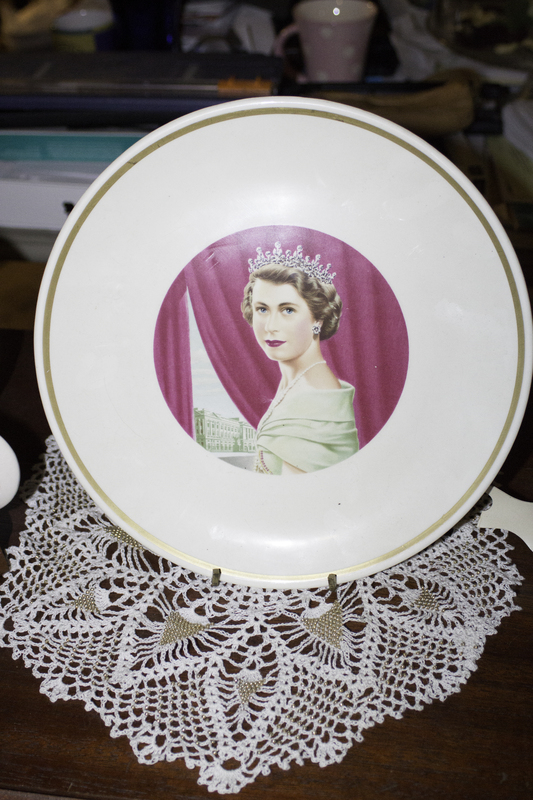 It was a plate she bought in 1953 commemorating Queen Elizabeth’s ascension to the throne of England. It always hung in a prominent place in all the houses she lived in. The plate passed in to me when she died. Today, it sits in my living room. My mom, like so many others, got up at 1:00 am to watch live the wedding of Princess Diana to Prince what’s his name. And she watched all the replays. She loved the royals and all the pageantry. She loved Queen Elizabeth and loved and adored Princess Di. She also loved and adored OJ Simpson, obviously before July, 1994. Mom passed away in April 1994. I know she would have been devastated with the murders and the trial and been glued to the TV every minute of the trial and the reruns. And I know she would have been downright inconsolable when Princess Diana was killed in the auto accident. That is just the kind of person she was. I at times had played around, like many others, with having a funny answering machine message. I had recorded Tarzan’s call from an old Johnny Weissmuller movie. I think my best was when I recorded “there are some who call me…Tim?” from The Holy Grail. But I had heard from somebody that this wasn’t a cool idea because so many messages could be of a serious nature. So I just put up a simple, Jim Rockford type of message. I was glad I did, because that is how I found out my mother had passed away, by a message from her husband on my answering machine. I am always grateful that he didn’t get a wise guy message from my machine. My mother and I didn’t always get along, like all kids and parents. We had just been on a little family get away the week before over my spring break. We all lose our parents. And no matter when it is, it is always to soon.